At the season ending DeLand Showcase show, Flight Design was ably represented by John Hurst. We interviewed this longtime LSA veteran; watch for that as editing is completed. What we did not get was an update from the company, as we did with several other vendors (see earlier reports). Flight Design USA president Tom Peghiny since reported that his import enterprise enjoyed a reasonably good year in 2018 with a few weeks remaining. Indeed, he communicated while flying a new CTLS up to Canada for delivery under their Advanced Ultralight program*. 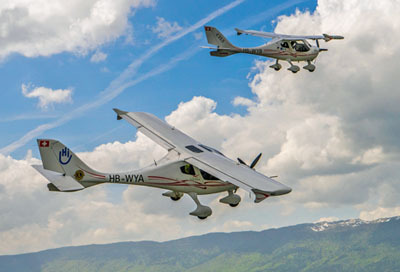 New unit volume is lower than the early gold-rush days of Light-Sport Aircraft (2005-2007) — the same as for other companies — but new sales are returning for Flight Design; in addition, their service, factory parts. and used business bolsters the longtime U.S. operation. Longtime market leader Flight Design took something of a breather in 2016 and 2017 as the German company reorganized under new leadership (article). 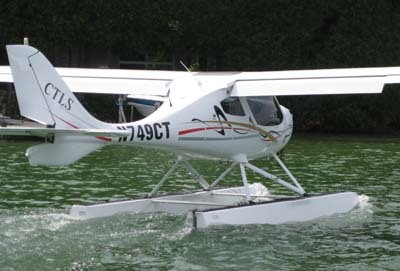 The business decision allowed CubCrafters to take over the lead position among LSA deliveries in America although that company trails far behind in worldwide sales. Lift is now the owner of the German company's popular design, which enjoys more than 1,500 aircraft flying in countries around the globe. 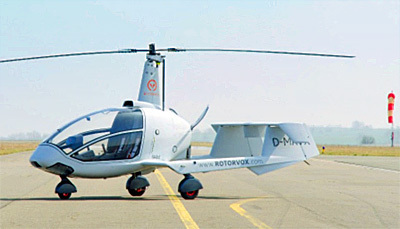 The same company also represents the deluxe side-by-side Rotorvox gyroplane (article and video). As part of the reorganization, Flight Design also signed a manufacturing contract with AeroJones Aviation to build and represent the CT-series of aircraft in the Asia-Pacific region. That company has recently been active not only in its base of southern China (Xiamen) and Taiwan but has traveled to Australia and New Zealand to meet with customers, representatives, and media people. At the season ending DeLand Showcase show, Flight Design was ably represented by John Hurst. We interviewed this longtime LSA veteran; watch for that as editing is completed. What we did not get was an update from the company, as we did with several other vendors (see earlier reports). Flight Design USA president Tom Peghiny since reported that his import enterprise enjoyed a reasonably good year in 2018 with a few weeks remaining. Indeed, he communicated while flying a new CTLS up to Canada for delivery under their Advanced Ultralight program*. 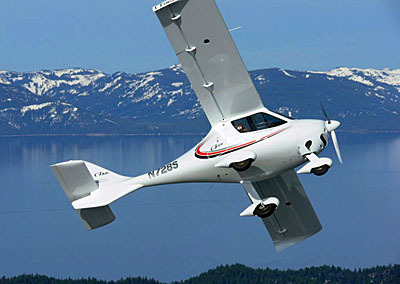 New unit volume is lower than the early gold-rush days of Light-Sport Aircraft (2005-2007) — the same as for other companies — but new sales are returning for Flight Design; in addition, their service, factory parts. and used business bolsters the longtime U.S. operation. Longtime market leader Flight Design took something of a breather in 2016 and 2017 as the German company reorganized under new leadership (article). Besides LSA seaplanes, one area of furious development (and sales) is gyroplanes, the term modern industry prefers to "gyrocopter," which was actually a branded name used since the days of Igor Benson. A new player, arriving on the scene about five years ago, is Rotorvox. Americans have not seen this aircraft but will soon get an opportunity at Sun 'n Fun 2018 at Booth #30 in Paradise City. Demonstration flights will occur throughout the week. 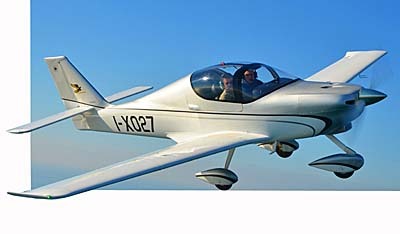 Structurally, the C2A is largely carbon-fiber monocoque construction. This is notably different than the majority of smooth-looking gyroplanes. Most are steel structure with a composite pod. 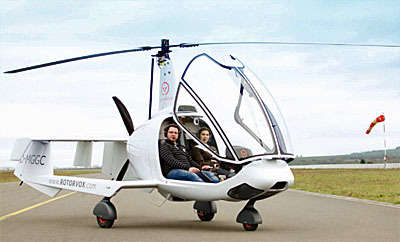 Rotorvox's fuselage is also engineered to provide a protective cell for the occupants. A few other side-by-side seating gyroplanes are on the market, including Cavalon from AutoGyro, the far and away market leader. Rotorvox's version employs the carbon structure to provide such seating, which means it can double as a very inexpensive air ambulance. Follow Rotorvox in USA on Facebook. Entry is also different with a forward-hinged, three-piece canopy. Above the occupants, you see a faired pylon that supports a two-blade aluminium rotor pushed by a Rotax 914 turbocharged engine swinging a three-blade prop. 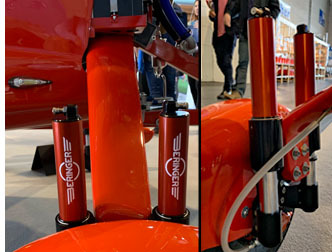 As with nearly all modern gyroplanes, Rotorvox's rotor offers hydraulic pre-rotation before takeoff. 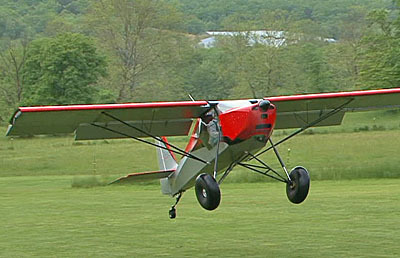 Another big departure from most gyroplanes are flat-sided tail booms separated from the fuselage on lateral structures. Each boom supports a tapered fin and rudder with ventral fins. C2A has a short-legged, wide track tricycle undercarriage that should aid ground stability. The main gear uses trailing link main gear with elastomer shock absorption. 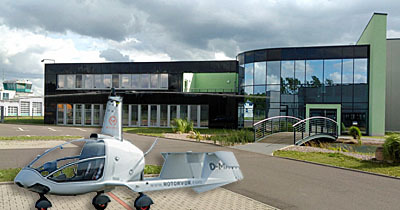 Rotorvox reports two prototypes were flown during five years of development before C2A deliveries began in October 2014. Rotorvox Aero will act as the U.S. importer and will display C2A in Lakeland from April 10-15, 2018. Tw twin-boom gyroplane was developed and produced in Germany by Rotorvox Lift Air GmbH, now a division of Lift Air in Eisenach Germany, the same company that is majority owner of the former Flight Design and its popular CT-series. C2A's spacious cabin with dual controls offers what the company calls "outstanding inflight visibility that has to be seen to be appreciated." You can check this out for yourself at Sun 'n Fun. “We are very excited to be participating in Sun 'n Fun this year,” said Cobus Burger, importer and distributor for the Rotorvox products in the Americas. 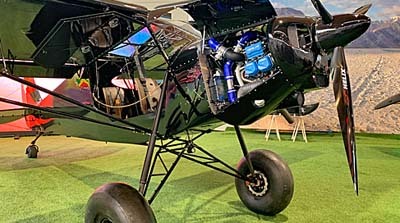 “I went to Eisenach, Germany to fly the C2A last fall and met the folks at Rotorvox Lift Air and came away very impressed with the C2A and the people behind it. I am very pleased to be presenting this great aircraft both in Lakeland, Florida and later in the year at EAA Airventure in Oshkosh.” C2A is sold ready-to-fly in Europe but must be sold as an Experimental Amateur Built kit in the USA. 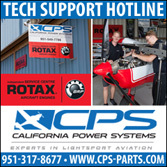 Rotorvox Aero is based near Denver, Colorado and plans to work in association with Flight Design USA in South Woodstock, Connecticut to provide an East Coast customer build assistance center. 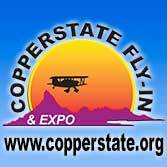 After Sun ‘n Fun 2018, Cobus will be flying C2A to its new base of operations at the Rocky Mountain Metropolitan Airport (KBJC). Besides LSA seaplanes, one area of furious development (and sales) is gyroplanes, the term modern industry prefers to “gyrocopter,” which was actually a branded name used since the days of Igor Benson. A new player, arriving on the scene about five years ago, is Rotorvox. Americans have not seen this aircraft but will soon get an opportunity at Sun ‘n Fun 2018 at Booth #30 in Paradise City. Demonstration flights will occur throughout the week. What Sets Apart Rotorvox? 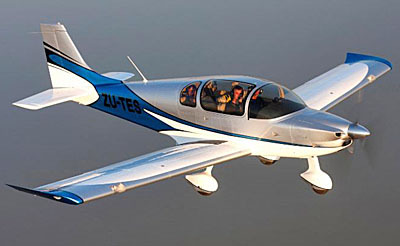 Structurally, the C2A is largely carbon-fiber monocoque construction. This is notably different than the majority of smooth-looking gyroplanes. Most are steel structure with a composite pod. Rotorvox’s fuselage is also engineered to provide a protective cell for the occupants. A few other side-by-side seating gyroplanes are on the market, including Cavalon from AutoGyro, the far and away market leader. Rotorvox’s version employs the carbon structure to provide such seating, which means it can double as a very inexpensive air ambulance. For most years of Light-Sport Aircraft one aircraft model convincingly lead the parade. That aircraft is broadly identified as the CT-series: CT2K, CTSW, CTLS, and CTLSi. 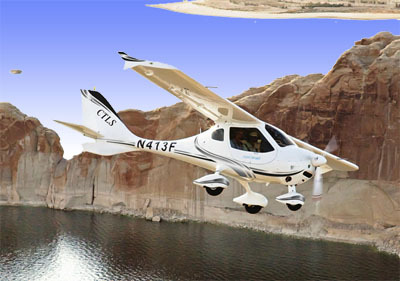 Until CubCrafters caught up and passed Flight Design while the company took a breather to reorganize, the CT-series was the best selling Light-Sport Aircraft in America. The aircraft also sold well in many other countries, concentrated in European nations; close to 2,000 are flying. One part of the world needed a different approach: Asia-Pacific, including countries such as China, Australia, New Zealand and others. For this region, CT representation needed a fresh face attuned to the local culture. The management team at AeroJones Aviation poses for a photo after approval was earned from China's CAAC authorities. VP Jack Lin is third from the left. In a deal started a few years ago, a Taiwan-owned / China-based company named AeroJones Aviation Technology Co., Ltd., negotiated a manufacturing license agreement with Flight Design, the German company that created the CT-series. Money changed hands, training started, and eventually AeroJones fired up their production engine. I visited this company in December 2017 and found a first-class production organization. However, AeroJones was still a remote facility for Flight Design. They needed the German company to approve aircraft before they could sell directly. Now, that's changed. In February 2018, the Civil Aeronautic Administration of China (CAAC) completed a successful audit of the manufacturing facility of AeroJones' Xiamen, China factory. 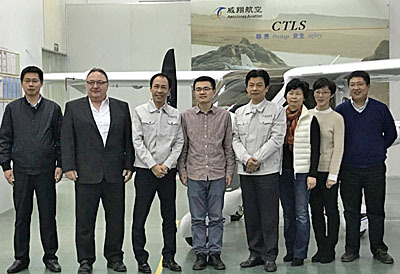 Following the acceptance and with the blessing of Flight Design, the company can independently manufacture CTLS aircraft and sell them throughout China and other countries in the region. 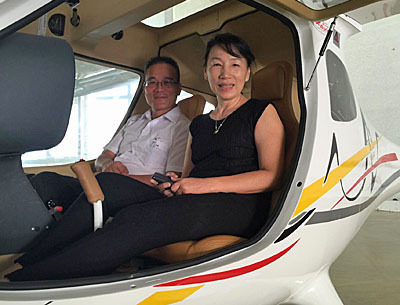 Hsieh Chi-Tai is seen in the instructor seat of this AeroJones-built CTLS alongside Jenny Chang who handles marketing for the company. “We are very honored and pleased to complete the CAAC audit successfully,” observed Hsieh Chi-Tai — known to many people simply as "Tai." 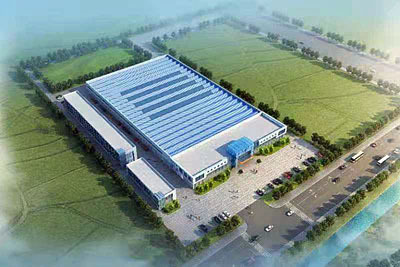 He is the vice president of AeroJones and the approval will lead to being granted a Production Certificate. 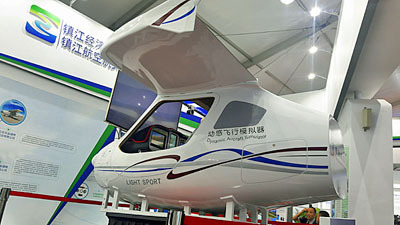 Previous approvals by Chinese aviation authorities had secured a Chinese Type Design Approval (TDA). Now the package of government certification is complete. CAAC authorities visited AeroJones Aviation in Xiamen in November 2017 and twice in January 2018 before finishing the audit in February. “By proving our company to China’s highest civil aviation authority, we open a new door of opportunity for AeroJones Aviation and for the country of China,” noted Tai. In addition to China, AeroJones Aviation is able to ship fully manufactured aircraft to other Asia-Pacific countries that accept ASTM standards for approvals, including Australia, New Zealand, Indonesia, Malaysia, Philippines, Japan, Korea, Thailand, plus additional countries in the region. 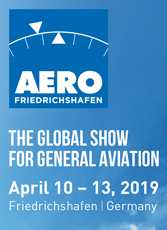 The German developer — since renamed Flight Design general aviation — will supply all other nations as AeroJones Aviation serves the Asia-Pacific market. 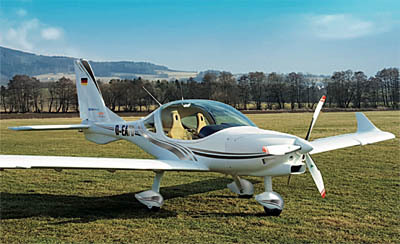 In the United States, the German producer has been represented by Flight Design USA since the beginning. Many aviation experts believe China will be a nation of rapid growth with plans from the central government in China to build thousands of airports during the next few years. The production team poses in front of one of their CTLS models produced in Xiamen, China. “We are proud and pleased that our management, engineering, and manufacturing team performed well during the February audit of our production facility,” said Jack Lin, Production Vice President of the operation. 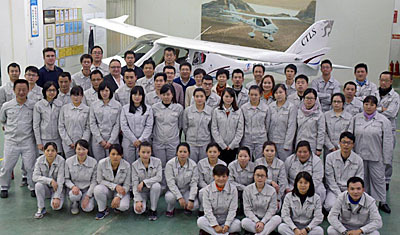 “We have been working very hard for three years to insure we can produce the highest quality aircraft.” The Xiamen, China base of AeroJones Aviation Technology Co., Ltd. includes a new manufacturing facility equipped with all the appropriate fixtures, tooling, and highly-trained workers (photo). 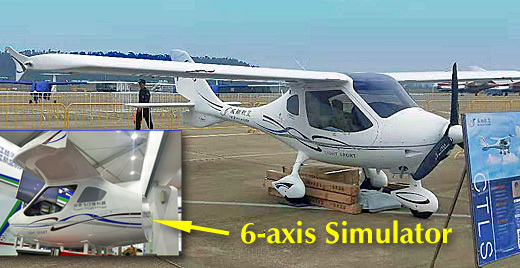 The majority of components for the CTLS aircraft can be built on the Xiamen premises. 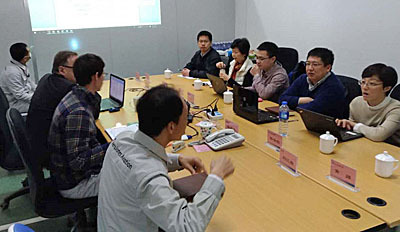 During the recent audit, AeroJones personnel defended their quality and manufacturing practices to CAAC authorities. In addition to the manufacturing operation in Xiamen, China, AeroJones also operates an engineering bureau in Wildau, Germany and an active flight school in Pingtong, Taiwan. 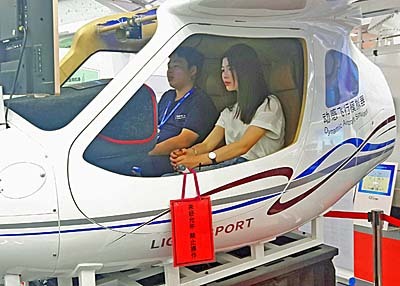 The company hopes to replicate its flight school concept in many cities of China as the airport construction projects leads to activity in those locations. 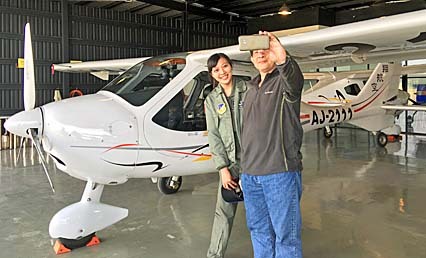 I toured the flight school facilities in Taiwan and took a flight in an AeroJones-built CTLS. The school and aircraft reflect a high level of quality and attention to detail. “We believe we have all the elements in place so we can assist China’s growth in civil, sport, and recreational aviation,” said Tai. “We have demonstrated the capability to produce high quality Light-Sport Aircraft and to sell them in our region.” Congratulations AeroJones. 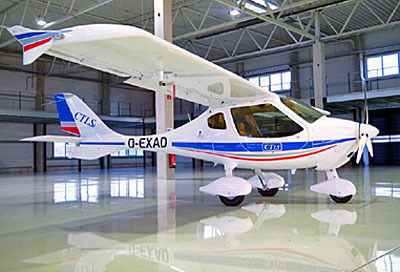 The company is one of a very few LSA builders to win full approval from Chinese CAA authorities. For most years of Light-Sport Aircraft one aircraft model convincingly lead the parade. 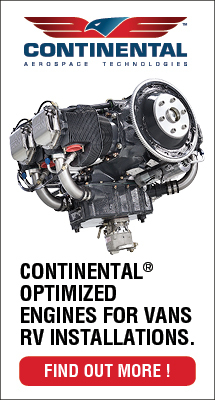 That aircraft is broadly identified as the CT-series: CT2K, CTSW, CTLS, and CTLSi. 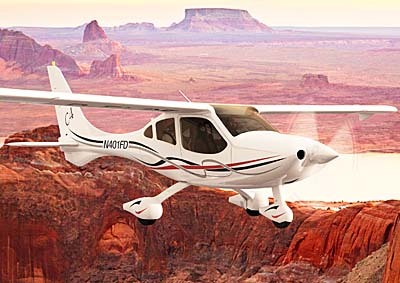 Until CubCrafters caught up and passed Flight Design while the company took a breather to reorganize, the CT-series was the best selling Light-Sport Aircraft in America. The aircraft also sold well in many other countries, concentrated in European nations; close to 2,000 are flying. One part of the world needed a different approach: Asia-Pacific, including countries such as China, Australia, New Zealand and others. For this region, CT representation needed a fresh face attuned to the local culture. In a deal started a few years ago, a Taiwan-owned / China-based company named AeroJones Aviation Technology Co., Ltd., negotiated a manufacturing license agreement with Flight Design, the German company that created the CT-series. Money changed hands, training started, and eventually AeroJones fired up their production engine. 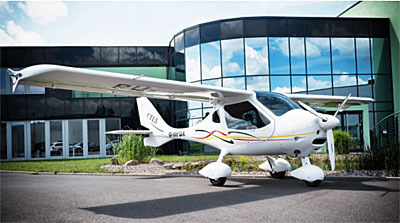 A CTLS sits in front of the headquarters of LiftAir, the company that acquired Flight Design GmbH in 2017. Two years ago, Flight Design was the number one producer of Light-Sport Aircraft in the USA backed by strong sales in other countries. 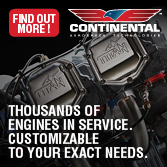 The company's CT series lead our rankings since the very beginning of LSA. 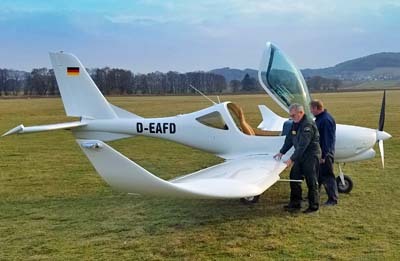 In 2016, Flight Design was passed by CubCrafters when the Germany company's production line stalled during a government-mandated reorganization. By late 2017 at the DeLand show and upcoming at 2018's first airshow in Sebring, Florida, the company displays products, answers questions, takes new orders, talks to current and possible dealers …in other words acts like a company fully back in the game. Through all this, Flight Design USA — the Germany manufacturer's close associate and U.S. importer — was a steady hand on the tiller, keeping customers satisfied throughout North America. It's good to see them return with vigor and our video below lets them tell their own story. 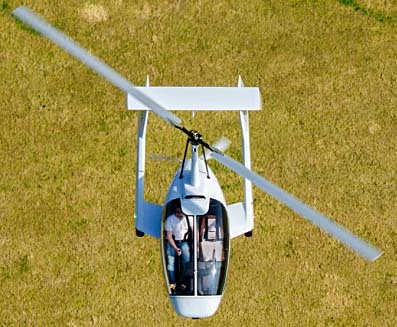 LiftAir also owns the Rotovox gyroplane. FD-USA's Tom Peghiny helped to clarify the situation, saying, "Flight Design was acquired in July 2017 by LiftAir of Eisenach Germany. Mr. Sven Lindig, the owner of LiftAir owns and has founded a number of successful businesses in the Central and Southern areas of Germany. LiftAir now owns the Flight Design EASA Design Organization, the Flight Design aircraft production facility in Kherson Ukraine, and the design rights for all products produced by the company. "Production of aircraft and parts which was maintained at a low rate for the last year and a half are now up to four aircraft a month and a healthy backlog of aircraft orders is building for 2018," Tom said at the late 2017 DeLand show. “We were very pleased to acquire the complete assets of Flight Design," said Mr. Lindig, "and [we] are committed to keeping the company in its leading position in the design and manufacturing of advanced light aircraft." Tom Peghiny (left) and Lars Joerges are interviewed in the video below where they update viewers on the present situation at the newly renamed Flight Design general aviation. Some folks may have concerns. Tom addressed those squarely, "Delivery times for new orders are now quoted at three months from receipt of a 12% deposit to completion and test flown at the Kindel airport. All deposits are held in an escrow account and guaranteed by LiftAir’s parent company, Lift Holding. Final payment is only due after the aircraft is completed, final inspected and test flown." What is the company offering for 2018? Tom reported, "For 2018 Flight Design general aviation is offering the CTLSi GT which is a lightly upgraded version of the CTLSi Flight Design USA has been importing since 2012. 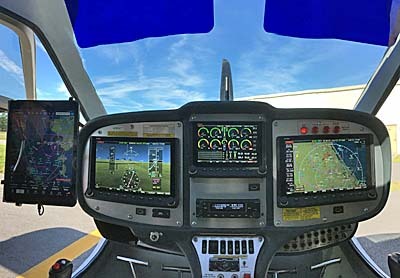 The primary change is offering an upgraded Dynon avionics package including the Dynon 10-inch SkyView Touch HDX screens which are very bright and high definition for the EFIS and Map screens (left and right) and a 7-inch SkyView Touch HDX at the top of the center stack which is used alternately for EMS and autopilot control." Now you have basic info and if you are able to attend Sebring (or Sun 'n Fun in April… or Aero in Europe later that same month) you can ask more detailed questions. Until then, hear directly from Flight Design's leadership in this video. Two years ago, Flight Design was the number one producer of Light-Sport Aircraft in the USA backed by strong sales in other countries. The company’s CT series lead our rankings since the very beginning of LSA. 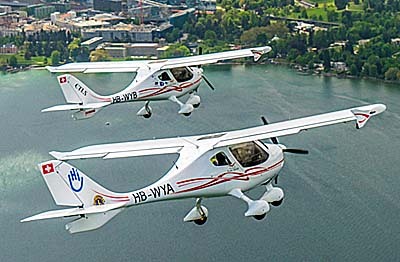 In 2016, Flight Design was passed by CubCrafters when the Germany company’s production line stalled during a government-mandated reorganization. By late 2017 at the DeLand show and upcoming at 2018’s first airshow in Sebring, Florida, the company displays products, answers questions, takes new orders, talks to current and possible dealers …in other words acts like a company fully back in the game. Through all this, Flight Design USA — the Germany manufacturer’s close associate and U.S. importer — was a steady hand on the tiller, keeping customers satisfied throughout North America. It’s good to see them return with vigor and our video below lets them tell their own story. After completing a test flying regimen, South Korea authorities approved KLA-100 for production. 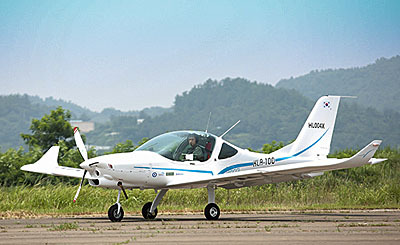 In December 2017, South Korea’s Vessel Co. won what was described as "safety certification" from the Transport Ministry for their new two-seat light aircraft called KLA-100. After gaining this approval, the company reported plans to start mass producing the light recreational aircraft. Vessel’s side-by-side aircraft claims a maximum cruise speed of 245 kilometers per hour (133 knots; 10% faster than allowed by FAA in the U.S.) and a range of 1,400 kilometers (875 miles) over six hours with full fuel of 34 gallons. 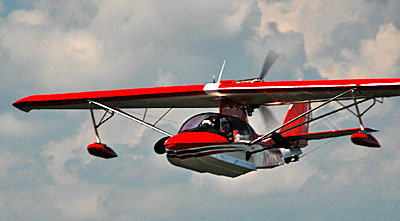 KLA-100 is a modern design featuring majority carbon construction. As CTLS developer Flight Design was hired to help design the new aircraft, some readers may see similarities to the high wing model the Germany company produces. Working with Flight Design, Vessel spent four years to develop the light aircraft. Pilots have carried out test flights over the last seven months and at the end of the year just concluded, their prototype was cleared for production. It was reported that the South Korean company may employ this airframe as it pursues a drone project for "public services," according to an unnamed Vessel official. The publicly-owned company is listed in the South Korean Kosdaq exchange and its stock rose 5.04 percent (to $6.67) on the news. Flight Design of Germany was hired to help design the new low-wing, mostly carbon KLA-100. 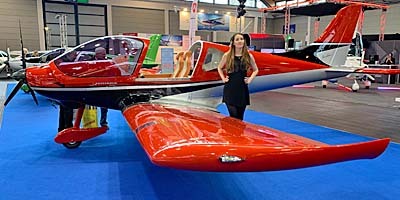 Then in the midst of its corporate reorganization, Flight Design showed the new low-wing at Aero Friedrichshafen 2017. First flights had been made only days earlier. Engineers from both companies coordinated to prepare KLA-100 for this public debut nine months ago. 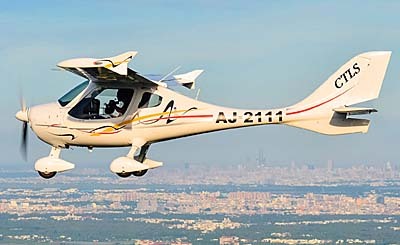 A clean-sheet design, Flight Design announced KLA-100 was created as a Light Sport Aircraft for sale in countries that accept ASTM-compliant aircraft. Winning South Korean approval is the first step. Vessel's KLA-100 claims a new proprietary airfoil, "Stall-Safe" drooped leading edge, long-span slotted flaps, and blended winglets. The new aircraft is powered by the fuel-injected Rotax 912iS and has a Garmin G3X avionics suite plus a Stratos Magnum airframe parachute system integrated into the airframe. KLA-100's carbon-aramid composite cockpit safety cell helps to protect all occupants. The engine mount and carbon fuselage attach points reduce the possibility of engine intrusion into the occupant's safety cell. No announcement was made regarding U.S. approval (which would require modest changes to slow it slightly) or importation into America. For more details on this and other Flight Design products, contact Flight Design USA. 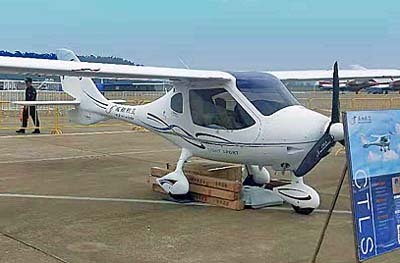 In December 2017, South Korea’s Vessel Co. won what was described as “safety certification” from the Transport Ministry for their new two-seat light aircraft called KLA-100. After gaining this approval, the company reported plans to start mass producing the light recreational aircraft. Vessel’s side-by-side aircraft claims a maximum cruise speed of 245 kilometers per hour (133 knots; 10% faster than allowed by FAA in the U.S.) and a range of 1,400 kilometers (875 miles) over six hours with full fuel of 34 gallons. KLA-100 is a modern design featuring majority carbon construction. 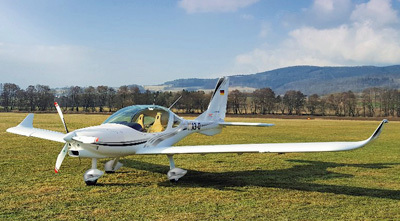 As CTLS developer Flight Design was hired to help design the new aircraft, some readers may see similarities to the high wing model the Germany company produces. Working with Flight Design, Vessel spent four years to develop the light aircraft. Pilots have carried out test flights over the last seven months and at the end of the year just concluded, their prototype was cleared for production. 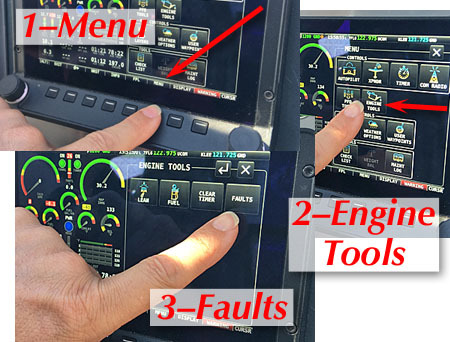 John Hurst's futuristically-equipped Flight Design CTLSi with not two, but three Dynon screens (two 10-inchers + one 7-incher) plus a post-mounted iPad. See any round guages? When Rotax moved their 912 iS Sport project from engineering to production, the big Austrian engine manufacturer elevated their already-immensely-popular 9-series engines to a higher level. Beside fuel injection, the company added electronic engine controls more advanced than any other in their inventory. If you've flown with the iS Sport as I have you know it has terrific performance — torque was increased through an enlarged airbox along with other minor refinements — plus it gives even better fuel consumption. 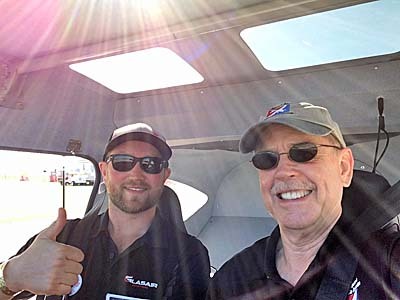 When flying with Aerosports' Jeremy Knoll at DeLand 2017, I heard that his trip from Wisconsin to Florida in the TAF Sling yielded fuel consumption rates of 2.7 gallons per hour at cruise. Man! That is some fuel efficient flying and that is part of what Rotax achieved with their iS model. They will use that technology plus more on their coming 135-horsepower 915 iS due on the market next year. However… "Houston, we have a problem. I've got a red light here on my panel." We pilots are rightfully hesitant to commit to flight with a big ole red light glowing back at us from the instrument panel. Oh, dread! Thanks to avionics guru and pilot extraordinaire — and a friend — John Hurst of Sport Aero Services, I learned Dynon has made the red-lane-A/B-light challenge a source of knowledge rather than frustration. I was one of those frustrated pilots, thanks to early experience with Lane A/B lights. 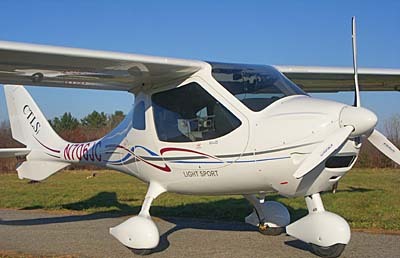 I had flown with a flock of Light-Sport Airplanes to the Bahamas. We had long over-water stretches. When you fly out of sight of all land in a single engine airplane, the pucker factor tends to rise. Being a modestly-experienced Bahamas island-hopping LSA pilot, I figured to take off last from the Nassau-to-Bimini flight. The other pilots fired up, taxied out, and launched into the air. My cabin mate and I, aviation journalist James Lawrence, tried to follow but on firing up, I had a red lane B light that would not go off after doing the usual checks. I would not commit to flight over lots of water with a red light staring back at me and I had no one nearby to consult as to the problem. Therein lies the problem. What was wrong? It turned out to be a connector that did not maintain contact. Nothing whatsoever was wrong with the engine, explaining why the light went off later and we were able to launch and fly without incident to the other island. Nonetheless, whatever that had been nagged at me, stealing a bit of the joy of flight as I was uninformed. No more, thanks to Dynon and guys like John Hurst who works closely with the west coast avionics provider. 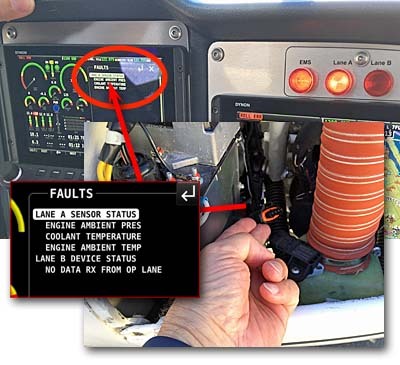 Now, as the images show, you can ask your Dynon HDX Touch SkyView instrument for the reason, and it will list for you what is wrong. Some problems need to be fixed when able. Others might have to ground the flight until remedied. Wouldn't you want to know which it is? "This update happened partly because of your early experience, Dan," clarified John. "Now the pilot can know the reason the light came on and can make an informed decision." Thanks, John and Dynon. I'm breathing easier and future flights will have all the joy in them as promised by our love of flying light aircraft. When Rotax moved their 912 iS Sport project from engineering to production, the big Austrian engine manufacturer elevated their already-immensely-popular 9-series engines to a higher level. 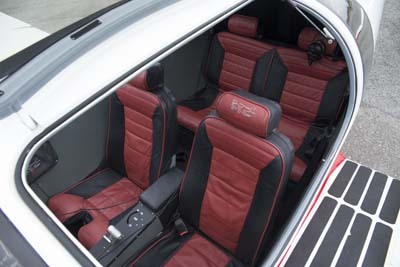 Beside fuel injection, the company added electronic engine controls more advanced than any other in their inventory. If you’ve flown with the iS Sport as I have you know it has terrific performance — torque was increased through an enlarged airbox along with other minor refinements — plus it gives even better fuel consumption. 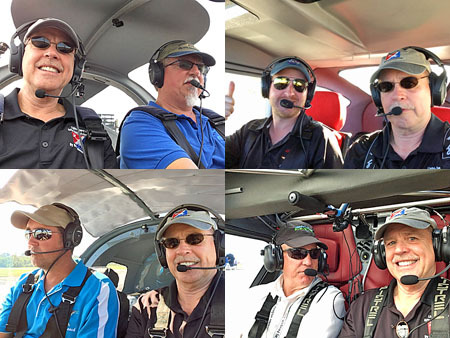 When flying with Aerosports‘ Jeremy Knoll at DeLand 2017, I heard that his trip from Wisconsin to Florida in the TAF Sling yielded fuel consumption rates of 2.7 gallons per hour at cruise. Man! That is some fuel efficient flying and that is part of what Rotax achieved with their iS model. They will use that technology plus more on their coming 135-horsepower 915 iS due on the market next year. Given a successful Midwest LSA Expo, you could say the "LSA show season" is underway. This is proven by the upcoming DeLand show — the second annual event — followed by the 14th Sebring LSA Expo. Even before DeLand, for those in western U.S. states, is Copperstate (which is not a pure play LSA event but does have a good representation of them). 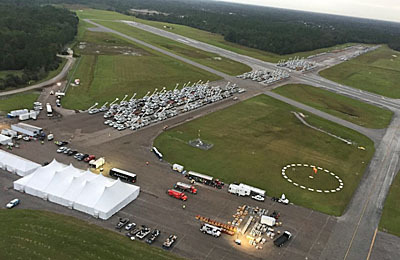 DeLand Showcase's location on the airport was used to gather and organize a large fleet of electrical grid repair trucks after Hurricane Irma. Why go to DeLand over November 2-3-4 of this year? Several reasons come to mind. 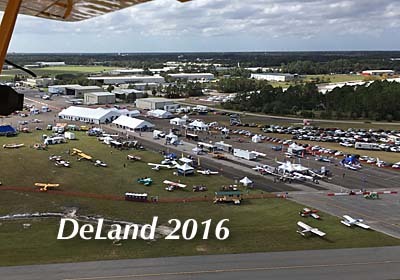 First, Showcase executive Jana Filip — who earned her stripes managing Sebring for several years — said exhibitor sign-up has been strong, meaning you can see many great light aircraft …more on that below. Second, weather in early November in Florida should be marvelous, even as the northern states head toward winter. Third, DeLand is one of those aviation-sports airports featuring one of the world's most active sky diving operations. It is also home to builders of light aircraft — U-Fly-It and their Aerolite 103 plus Aero Adventure and their Aventura seaplane kits. Either offers some of the most affordable prices in aviation. Need more? How about forums, seminars, and plenty of avionics and other gear suppliers, airshow food, and special attractions. A key feature, as with Midwest LSA Expo is the quick availability for demo flights. In minutes you can be airborne. Here in Florida the natives say, "All y'all come on down!" That means you! I won't try to predict all you might get to see, but here are three aircraft of particular interest, each in its own way. 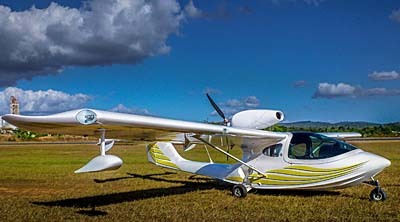 Seamax LSA Seaplane — We welcome back to the LSA space Brazil's Seamax M-22, now with folding wings. After emerging from under a takeover cloud Seamax is roaring back in business, complete with a new U.S. base of operations. The company "will be displaying and delivering our aircraft Serial Number 149 at this year's DeLand Showcase." They added, "Our Brazilian team, including Seamax designer Miguel Rosário will be ready to answer your questions." Launching their U.S. presence, "Seamax will be delivering the M-22 regularly, landing our first M-22 at DeLand [and] ready to accept orders as our production in Brazil is ramping up." Shortly after the new year starts, Seamax will start final assembly operations in Daytona Beach, Florida. "We will ship the Seamax, manufactured in Brazil, to be assembled in the USA." Factory-trained staff will add engine, prop, and avionics at their facilities at Daytona Beach, on the campus of Embry Riddle Aero U. "Our new building, located in São João da Boa Vista’s airport in São Paulo, is allowing us to ramp up production fast so we can satisfy our future customers soon," finished the company statement. 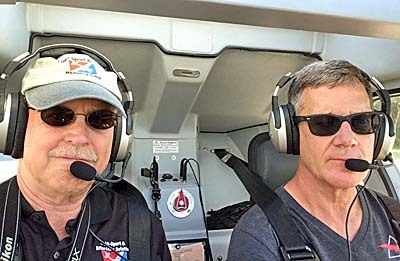 Flight Design USA — One of the most successful U.S. importers is a Connecticut-based company, run by one of the most respected names in Light-Sport aviation, Tom Peghiny. If you feel you haven't heard enough about them and him lately, that's because Flight Design, the German company has been through a top-to-bottom reorganization. Now, they're back and you can see them at DeLand! We saw AeroJones representing the company at DeLand #1 (2016) and that Taiwan enterprise continues strongly as it enlarges CTLS production to serve customer sales in many countries, including China. I'll have more about AeroJones early in the new year. Flight Design USA is the name that kept the CTLS and CT-series atop the market share chart for a dozen years, before bowing to CubCrafters in 2016 while undergoing the German court-ordered reoranization. If you've been waiting to get the latest news about this important brand, come speak to Tom and new Flight Design director, Lars Jörges at DeLand. 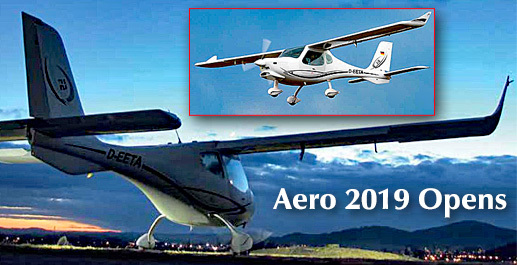 Aeropilot L600 and New FX1 — I've been telling you about L600, a scale-model representation of Cessna's popular Cessna 182 Skylane …only at a fraction (something like one-eighth!) of the cost. You can see L600 at DeLand but you can also hear what U.S. importer Deon Lombard has to say about a new entry headed America's way. Deon recently visited Italy with another pilot to examine and fly the FX1 and reportedly came away excited and impressed. I've written about this handsome Italian aircraft, a follow-on to their 1990s era JetFox97. I recently spoke with Designer Alfredo Di Cesare by phone and I am more than a bit intrigued to see and fly this latest iteration of a proven design. Aeropilot USA will not yet have an FX1 on display in DeLand. Alfredo said he is finalizing work to comply to the ASTM standards that allow FAA acceptance. He's already earned German "ultralight" approval, a good preparation for showing compliance with ASTM. Last year, DeLand had a full roster of airplanes both new and familiar. The event, organized by Jana aided by (husband) Gary Filip with oversight from airport manager John Eiff, put on a superb first-year event. I expect DeLand #2 to be even better. I'll be present every day shooting new YouTube videos with Videoman Dave and capturing article material. I hope to see you in Florida …soon! Given a successful Midwest LSA Expo, you could say the “LSA show season” is underway. This is proven by the upcoming DeLand show — the second annual event — followed by the 14th Sebring LSA Expo. Even before DeLand, for those in western U.S. states, is Copperstate (which is not a pure play LSA event but does have a good representation of them). Why go to DeLand over November 2-3-4 of this year? Several reasons come to mind. 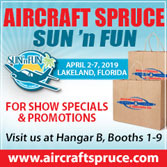 First, Showcase executive Jana Filip — who earned her stripes managing Sebring for several years — said exhibitor sign-up has been strong, meaning you can see many great light aircraft …more on that below. Second, weather in early November in Florida should be marvelous, even as the northern states head toward winter. 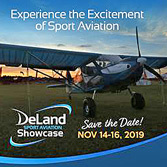 Third, DeLand is one of those aviation-sports airports featuring one of the world’s most active sky diving operations. After more than a year, a resolution was reached for the airplane that topped the charts in the LSA space since Day One. Although Flight Design's CT-series was eclipsed in 2016 by CubCrafters (by a very slim margin), the aircraft remains well regarded and its many adherents are no doubt breathing a sigh of relief that the "reorganization" (what Americans might call a bankruptcy) has been resolved. All good! (Read more about this reorganization here.) During EAA AirVenture Oshkosh 2017, longtime Flight Design USA representative Tom Peghiny sent news about the new owner of the brand. The crush of airshow activity let others beat us to this news, however, we will use our long history with this company to provide a more detailed report. 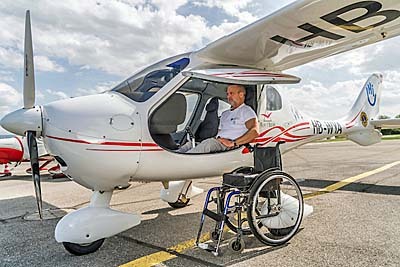 Flight Design, the German company that makes the CTLS, has been through the wringer in recent years with a series of reversals no one could have anticipated. After struggling through a combination of events — global economic slowdown; Russian saber rattling in Ukraine, where its main plant is located; and development projects consuming too many resources — Flight Design was forced into insolvency in 2016. Since then it has been operated at a low level of activity by a government-mandated receiver company, but the company was able to maintain the design's Special LSA acceptance in addition to supplying a few planes plus spare parts. All the while, Flight Design principals were looking for new options for manufacturing the CT and obtaining financing for its production. The reasons above made it hard for the company to obtain the necessary funding to purchase the company’s assets, according to Peghiny. Therefore, a recent offer to purchase all the assets by Lift Holding, a German investment group, comes as welcome news for Flight Design. 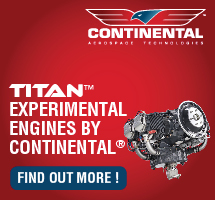 Tom explained, "The new company will be known as Flight Design General Aviation, GmbH. 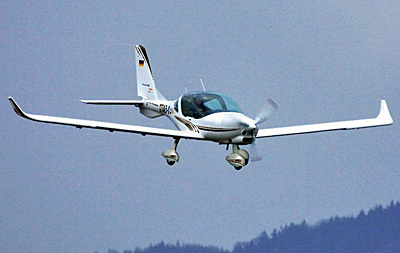 After concluding the sale of all major company assets to the Lift Holding investment group, Flight Design General Aviation will be based at a new and modern facility (photo) near the historic town of Eisenach in the Thuringia region of Germany. “We have been working with the Lift folks for a year planning the comeback for the Flight Design brand and we are very excited about the developments for the future," Tom expressed. "Parts supply and support will improve and this also allows Flight Design to keep the engineering team intact. These people have a deep product knowledge plus it assures the quality management and operational safety monitoring will stay the same." 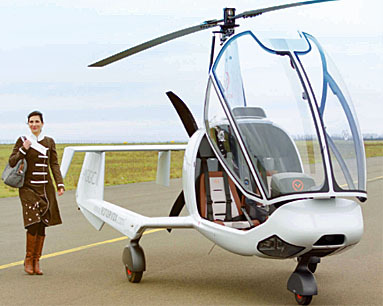 Lift is also the owner of the Rotorvox gyrocopter line. "Lift Holding will combine the technical expertise of Flight Design with their other aviation assets (Rotorvox) as part of Lift Air, GmbH. Both companies will be headquartered at the Kindel Airport (EDGE) near Eisenach." Lift Holding will assume all the assets of the former company and plans to produce the CT lineup. The Flight Design European Design Organization — approved by regulatory agency, EASA — and the production site in Kherson, Ukraine as well as the design rights for all Flight Design products including the CT series are now secured with the German company’s investment. 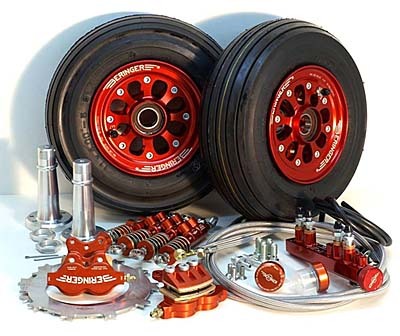 Flight Design General Aviation (FDGA) will increase its spare parts inventory and product support. The new company will continue to produce assemblies in Ukraine, with licensed operator AeroJones Aviation also producing CT-series aircraft in China. "We are delighted to be able to take over all of Flight Design's assets and are confident we will go forward as a world leader in the development and construction of light aircraft," said Sven Lindig, Managing Director of the Lindig Group. FDGA has aircraft operating in 48 countries around the globe. The company will soon employ 20 employees in Germany — mostly highly qualified engineers and technicians — as well as about 100 manufacturing employees in Ukraine. Since the founding of the company in 1988 and the establishment of the Ukrainian production plant in 1993, the company has delivered over 1,800 aircraft. 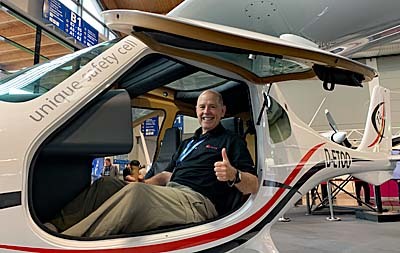 "Flight Design has some unique products and experience in the production of all carbon-composite, very efficient light aircraft. We want to invest in development of those products and also achieve leadership in customer support," said Lars Joerges, the new Managing Director of FDGA. 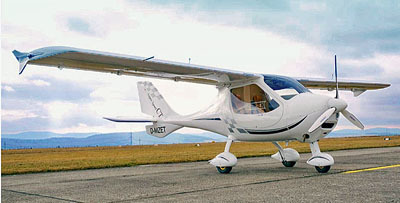 Flight Design General Aviation also plans to continue development of the C4 four-place aircraft, although Tom Peghiny said the program would change to accommodate the efficiencies in a changing certification landscape in the United States and abroad, referring to the long-awaited Part 23 rewrite and its mirror regulation in Europe. Tom indicated that FDGA will make a return to AirVenture for the 2018 event. After more than a year, a resolution was reached for the airplane that topped the charts in the LSA space since Day One. Although Flight Design’s CT-series was eclipsed in 2016 by CubCrafters (by a very slim margin), the aircraft remains well regarded and its many adherents are no doubt breathing a sigh of relief that the “reorganization” (what Americans might call a bankruptcy) has been resolved. All good! (Read more about this reorganization here.) During EAA AirVenture Oshkosh 2017, longtime Flight Design USA representative Tom Peghiny sent news about the new owner of the brand. The crush of airshow activity let others beat us to this news, however, we will use our long history with this company to provide a more detailed report. That Was Then Flight Design, the German company that makes the CTLS, has been through the wringer in recent years with a series of reversals no one could have anticipated. Recently, Vessel Co., Ltd., and Flight Design made a joint announcement after debuting their new KLA-100 low-wing, light aircraft at Aero Friedrichshafen 2017. Few expected this from the make of the very popular CT-series most recently including the CTLSi. Through 2016, this has been the most popular Special LSA in America. First flights of the new KLA-100 took place just before Aero Friedrichshafen 2017 started. The companies' KLA-100 development program started quietly two years ago. “The first flight was performed in Sumperk, Czech Republic in late March 2017 with test pilot Richard Ponizil at the controls. Since that time the plane has made seven more flights and met all expectations,” said Flight Design COO, Daniel Gunther. 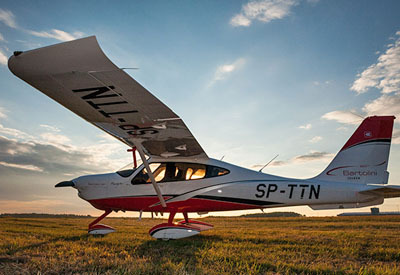 KLA-100 is a brand new design destined to be certified as a Light Sport Aircraft for sale in countries that accept ASTM-compliant aircraft, with plans to meet the European EASA's CS-LSA regulation. The companies think this will allow access to virtually every major aviation market in the world. “The program is a collaboration, between Vessel of South Korea and Flight Design,” stated Matthias Betsch, CEO of Flight Design GmbH. “Our engineering staff has worked closely with the Vessel Engineers to develop the KLA-100 and they will work together to certify the plane in Europe and South Korea.” “Vessel CEO was present for the ground testing and first flight of the KLA-100,” said Mr. Kiman Seo, CEO of Vessel Co., Ltd. “Vessel is running a parallel development and flight test program in South Korea to gather as much experience for certification in Korea.” KLA-100 wing is a modern aeronautical design using Flight Design's extensive experience at designing and building Light-Sport Aircraft or European microlights. A high aspect ratio wing planform is used to reduce drag and increase climb, a new proprietary airfoil has an improved coefficient of lift and reduced drag through a greater percentage of laminar flow. 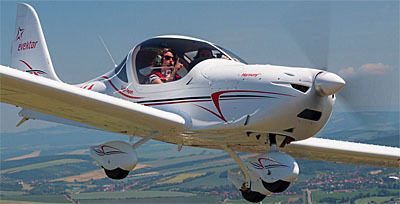 The Stall-Safe drooped leading edge (see cuff in photos) is designed to keep the airflow attached at the tips, promote post-stall aileron control and resist spins. Long-span slotted flaps feature another proprietary airfoil developed in South Korea to slow the KLA-100 for low landing speeds and gentle stalls. The companies reported that wide chord ailerons allowed precise control and minimal adverse yaw. The blended winglets round out the wing tips and reduce drag, increase climb and give the KLA-100 a distinctive ramp presence. KLA-100 is powered by 100 horsepower (74 KW) from a fuel injected Rotax 912iS. 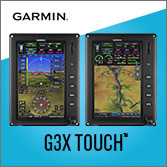 The panel holds a Garmin G3X avionics suite combined with a Garmin GTN-650 MFD, Garmin GTX-335 Mode ES ADS-B out transponder, and optional Garmin two axis autopilot. A Stratos Magnum 601 advanced AEPS rescue system is integrated into the airframe. Flight Design and the Vessel employed modern construction techniques. The cockpit’s carbon-aramid composite safety cell helps to protect the occupants. The engine mount and carbon fuselage attach points reduce the possibility of engine intrusion into the occupant's safety cell. For more details, see this earlier article. For more information visit Flight Design or Vessel. Recently, Vessel Co., Ltd., and Flight Design made a joint announcement after debuting their new KLA-100 low-wing, light aircraft at Aero Friedrichshafen 2017. Few expected this from the make of the very popular CT-series most recently including the CTLSi. Through 2016, this has been the most popular Special LSA in America. The companies’ KLA-100 development program started quietly two years ago. “The first flight was performed in Sumperk, Czech Republic in late March 2017 with test pilot Richard Ponizil at the controls. Since that time the plane has made seven more flights and met all expectations,” said Flight Design COO, Daniel Gunther. 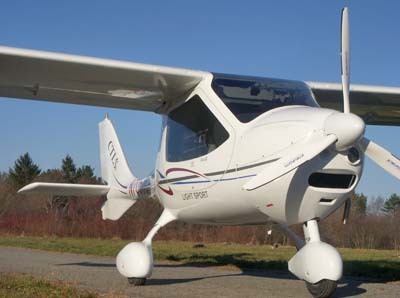 KLA-100 is a brand new design destined to be certified as a Light Sport Aircraft for sale in countries that accept ASTM-compliant aircraft, with plans to meet the European EASA’s CS-LSA regulation. The companies think this will allow access to virtually every major aviation market in the world. At the Midwest LSA Expo, we had a chance to speak with one of market leader Flight Design's midwestern dealer, Tom Baker. We wanted to hear Tom's comparison of the non-fuel-injected CTLS and the new Rotax iS 912 engine. So, we went flying and asked him for his thoughts ... about Flight Design and his history with it as well as the new CTLS and the latest in 912 engine technology. Tom provides a deeper view of this popular LSA that may help pilots in shopping mode. At the Midwest LSA Expo, we had a chance to speak with one of market leader Flight Design’s midwestern dealer, Tom Baker. We wanted to hear Tom’s comparison of the non-fuel-injected CTLS and the new Rotax iS 912 engine. So, we went flying and asked him for his thoughts … about Flight Design and his history with it as well as the new CTLS and the latest in 912 engine technology. Tom provides a deeper view of this popular LSA that may help pilots in shopping mode. We've seen AMT's FlyCool light weight, low power draw air conditioning system before in other Light-Sport Aircraft but it had not yet been done in the CTLS. Now US Aviation in Texas has made it happen. They brought the hardware to Sun 'n Fun and quickly made an installation which we got to experience. Come hear how it was done and how it works. In warm climates the FlyCool system can be a big benefit. We’ve seen AMT’s FlyCool light weight, low power draw air conditioning system before in other Light-Sport Aircraft but it had not yet been done in the CTLS. 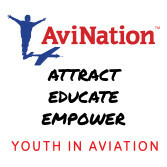 Now US Aviation in Texas has made it happen. They brought the hardware to Sun ‘n Fun and quickly made an installation which we got to experience. Come hear how it was done and how it works. In warm climates the FlyCool system can be a big benefit. At Sebring 2013, we made the rounds speaking to sellers of various Light-Sport Aircraft. We asked how their aircraft holds up in flight school instruction use. Some aviation journalists and some general aviation pilots believe LSA cannot withstand the rigors of training. Flight Design USA sales manager John Gilmore assures us the CTLS does very well in flight schools and one has accumulated more than 13,000 landings! Here the rest of the story in this video. Perhaps it's to be expected that the leading seller of Light-Sport Aircraft in the USA has now entered the public service aviation market with their CTLE, the "LE" standing for Law Enforcement. 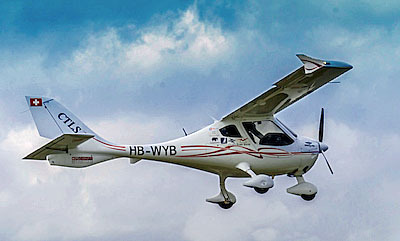 This specially fitted LSA has a high-tech wing mounted camera system that is controlled from the right seat where a Tactical Flight Officer sits. He can send and receive with ground units. CTLE is leading the way to a promising new market for Light-Sport Aircraft. Perhaps it’s to be expected that the leading seller of Light-Sport Aircraft in the USA has now entered the public service aviation market with their CTLE, the “LE” standing for Law Enforcement. 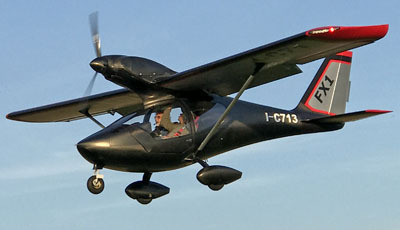 This specially fitted LSA has a high-tech wing mounted camera system that is controlled from the right seat where a Tactical Flight Officer sits. He can send and receive with ground units. CTLE is leading the way to a promising new market for Light-Sport Aircraft. Flight Design has lead the Light-Sport Aircraft market since Day One, selling variations of its all-carbon fiber CT series including the present-day CTLS. The MC is the German company's new all-metal airplane. MC stands for Metal Concept. With conventional construction, repairs are easier and many mechanics are familiar with working in aluminum. This brings flight schools to look at MC, but a lower price attracts everyone. 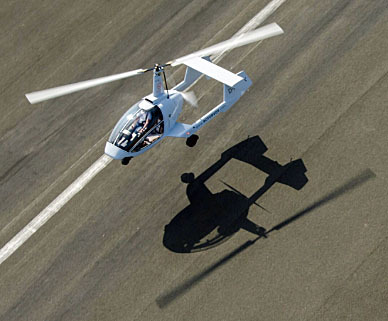 Flight Design has lead the Light-Sport Aircraft market since Day One, selling variations of its all-carbon fiber CT series including the present-day CTLS. The MC is the German company’s new all-metal airplane. MC stands for Metal Concept. With conventional construction, repairs are easier and many mechanics are familiar with working in aluminum. This brings flight schools to look at MC, but a lower price attracts everyone.